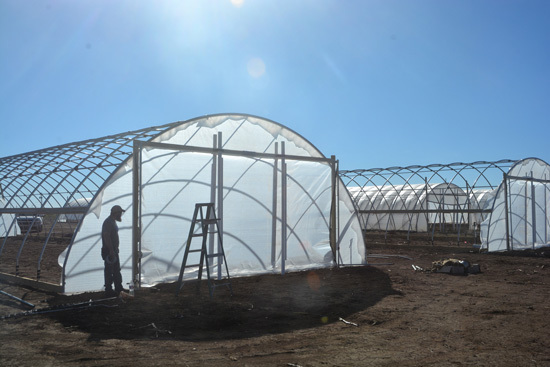 Amarillo, Texas (March 21, 2019)--Lessons learned in construction of protected agriculture systems, or high tunnels, kept Texas A&M AgriLife Research tunnels near Amarillo securely in place during the recent “bomb cyclone” that reached recorded wind gusts of 80-90 mph. The methods they developed have been captured in an educational fact sheet and a series of “walk-and-talk” construction videos available at https://tinyurl.com/HighPlainsVegetableProgram. “It’s important that if the vegetable industry is going to grow up here, and we are going to use high tunnels, we have to figure out how to keep them from blowing away,” Rush said. “That’s why we began working with producers who are considering the feasibility of producing alternate crops, such as high-value vegetables, that could be produced on less acreage with less total water but still potentially provide significant income,” Rush said. 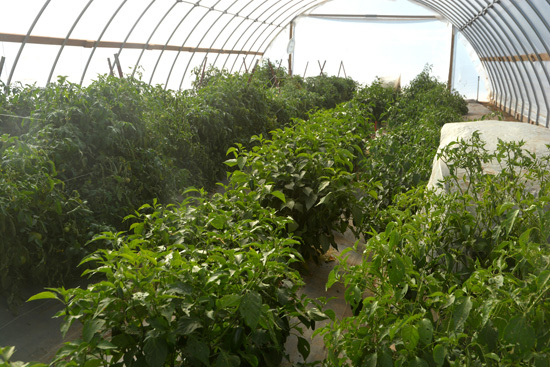 To accomplish this, he said, growers need to take advantage of advances in vegetable production techniques, such as protected agricultural systems or high tunnels. High tunnels can extend the growing season, maximize yield and quality, and optimize water-use efficiency. Rush said in 2015 he initiated a research program to evaluate the feasibility of high-value vegetable production in the Texas Panhandle. Part of that process was the purchase of four high tunnels, which were built according to manufacturer’s instructions. But, Rush said, it became very clear that vegetable production under high tunnels in the Texas Panhandle had a unique challenge with the extremely high winds common to the area. 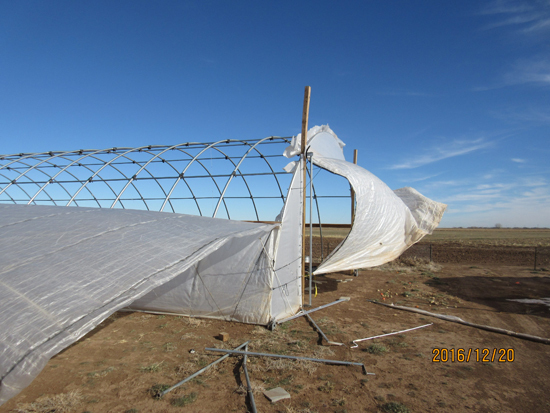 “This fact sheet provides information that should help farmers in windy environments build high tunnels that have improved chances of surviving the harsh Panhandle winds,” he said.